For a long time, we have believed that mobile spying apps have been designed for parents to watch over their kids, but that is not where their use stops. They are now being used by suspicious employers, family members and even by partners either for safety or to look for signs of infidelity. 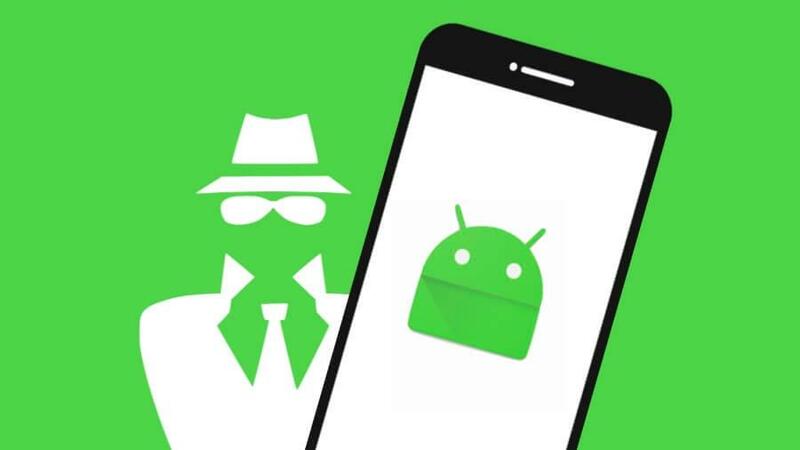 It doesn’t matter why you need a spying app since you are here searching for one, have a look at this comparison of the top 5 mobile spying apps on the basis of features, compatibility, and price. Xnspy is our #1 pick in mobile spying apps for lots of reasons. It is packed with amazing spying features at a price everyone can afford. The app is very user-friendly, its customer support is amazing, and there are a lot of tutorials and how-to guides present on their official website. Keylogger, Wi-Fi network log monitoring, geo-fencing, and WhatsApp monitoring without rooting etc. are a few of the features you will find in any mobile spying at the price of just $12.49 a month. The Basic Version is even affordable. It is also a highly compatible app. iOS Jailbreak Version: Supports 6.x, 7.x, 8. Up to 9.0.2.
mSpy is offering all traditional spying features to let you monitor someone’s phone and computer. One of the coolest things about this app is its ability to monitor Snapchat. mSpy has been designed for parents who want to protect their kids from cyberbullies, manage their screen time and apply other parental controls. It can also be used for spy other spying motives. Its Basic Edition is a bit costly but the Premium Edition is its value pack and it also supports advanced spying features. Everything about mSpy is great and that’s why it’s #2 on our list. There are a few drawbacks too such as they lack live customer support. mSpy has three editions. The Basic Edition costs $29.99 a month, Premium Edition costs Price $16.66 a month and No-Jailbreak Edition costs $39.99 a month. Its Premium Edition is the most sold one. Spyera is a mobile spying app that lets you snoop on phone calls and even access the microphone of the target phone to listen everything that’s happening near the smartphone. If that’s not enough to make you admire this app, Spyera can also track your instant messages and texts, upload copies of the photos you take, spy on conversations held through other apps like Skype, Viber, WhatsApp, etc., log everything the user types, and even use the camera to spy on the person physically. The only thing about Spyera that might make you change your mind about buying is its price. For one year of spying, you have to pay $389. It has no Basic Version and the minimum subscription available is for 3 months which costs $189. Spy on popular Android messaging apps, including WhatsApp, Snapchat, Facebook Messenger, Viber, Skype, Hangouts, Tinder, and many more. SpyEra is very expensive. Its three-month package costs equal to the monthly package of a top spying app. The app offers only one package for 3 months, 6 months and a year subscription. 3 months costs $189, 6 months cost $289 and 12 months costs $389. FleixSpy shares the same features as most of the mobile spying apps available in the market. It lets you monitor text messages, track someone’s location, their passwords, web browsing activities and even spy on social media apps such as Line, Skype, Facebook messenger, Hike Messenger, WhatsApp, Viber, and Hangouts. The best thing about this app is its hidden from the task manager so the owner of the phone will never figure out someone is monitoring them. It can be used to monitor both Android and iPhone devices (jailbreak required). FleixSpy Premium plan is their value package and it costs $68. For advanced spying features, you have to subscribe to the Extreme Plan, which is more expensive. It sure is an app full of great features but it is costly. Flexispy is available in two editions; Premium that costs $68 a month and Extreme that costs $199 per quarter. Premium is available in 1 month, 3 months and 12 months subscriptions while the Extreme version is only available in 3 months and 12 months subscriptions. Highster Mobile offers a nice set of features at a great price. It has been designed for keeping tabs on your children and employees to make sure they are not mishandling the company’s information. This mobile spying app has the ability to access messages and data that have been deleted. It has great remote control features too. You will be attracted to buy Highster Mobile since it just costs $69.99 and it’s a one-time fee but lots of users have complained that it’s a disappointment. They lack customer support and there are very limited tutorials or guides available on their website. You may not be happy with the apps services after the purchase. So, don’t settle for anything less just because it’s cheaper. Highster Mobile comes in a one-time purchase of $69.99. Which mobile spying app do we recommend? It depends on your individual spying needs, features you are looking for, the device you want to track and the price you want to pay. Our recommendation is Xnspy because it’s capable of meeting everyone’s spying needs very well. next 10 Best Dating Apps For Android 2018 | Hook Up Right Away!! !